In the cultural preserved building erecting here for a century, all the guest rooms of Arom d Hostel are well renovated to retain the reminiscence of the colonial period along with the modern comfort to enrich the living experience of our guests. The stunning unique view of Wat Po from the guest rooms is truly memorable. Enjoy a smiling welcome at Arom d Hostel as Arom d is stand for Good Mood', our guest will relax in our cozy common room with widescreen LCD TV, comfortable sofa and beanbag, enjoy free internet and Wi-Fi access anywhere in the hostel, and more refreshing with the panorama view of Rattanakosin Island at our outdoor roof area. 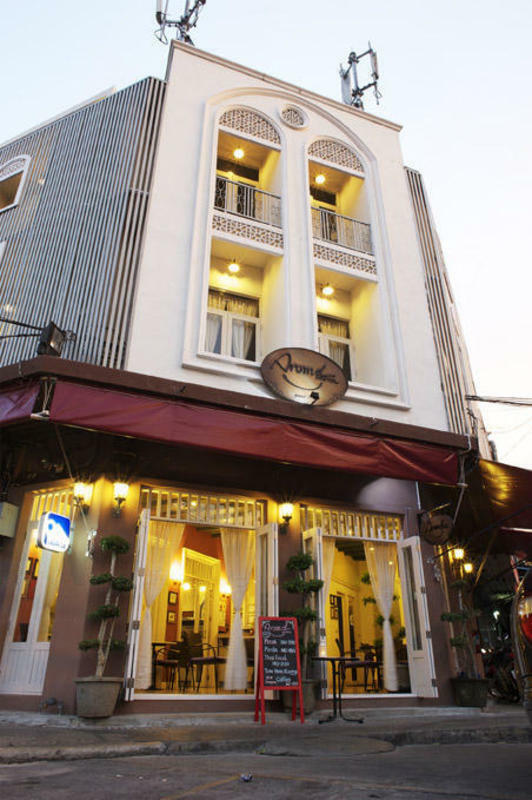 Start your happy morning with free fully breakfast and gourmet coffee at Arom d Cafe' and Bistro. Because the travelers are differences, we provided the difference types of rooms, Mixed and Ladies dorm are for backpacker who love to meet new friends, Twin and Double are for friends, lover or family who love the culture and private space. - Arom d Hostel is strictly a smoke-free environment, smoking is allowed outside only. 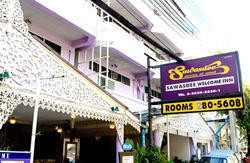 - Check-in time is 2.00pm and Check-out time is 12.00 noon. - We do not have elevator, please enjoy the steps. 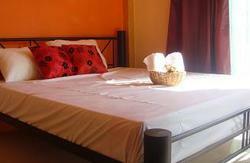 - We do not accommodate children under 12 years old in dormitory rooms, recommend private rom for convenience. - We accept payment in cash (THB only), VISA and MASTER card. By Public Taxi : From Suvarnabhumi Airport take an hour taxi ride costs around THB 400 including toll fee; could cost more and also take more time during the rush hour. Don't forget THB 50 surcharge for travel from the airport to the city and please insist to turn on the meter. By alternative mixed mode : Experience Bangkok by select the alternative mixed transportation, also would be useful during the rush hour. Ride the Suvarnabhumi Airport Rail Link to Phayathai station (the last station) then change to BTS Skytrain. Heading for Saphan Taksin station, you need to change the train at Siam Square station. Then catch an orange flag Chao Pharaya express boat from the Taksin pier under the BTS station to Ta Tien pier No.8. From the pier, walk to the main road (Maharaj road) turn right at the corner (Bangkok Bank) and walk for another 100 meters. Arom d Hostel will be smiling right in front of you.